Hotel Channel Management – Made easy & efficient! Astoria Hotel in Dubai shared recently that it experienced 600% growth in online business over the last 3 years with RateTiger channel management and rate intelligence solutions. 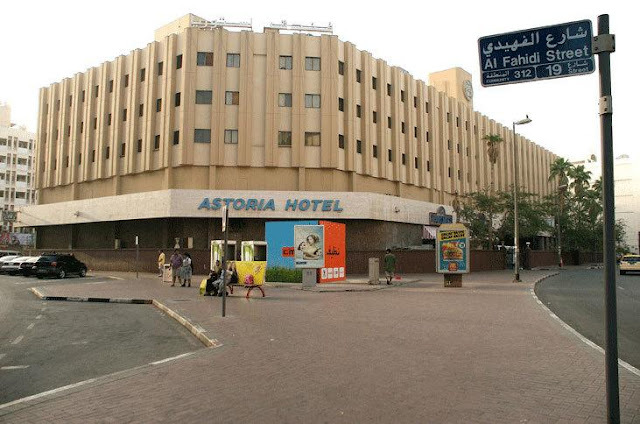 Astoria Hotel is a three-star property with over 100 rooms. RateTiger’s real-time connectivity with over 300 online sales channels has facilitated the property to connect to the better producing OTAs, resulting in an increase in online business share from 5% to 38% over 3 years’ period. The Middle East is the fastest-growing region for travel with the UAE being the dominant market. With over 15 million overnight visitors, Dubai has seen double digit growth in mid-market travel segment. RateTiger solutions have enabled Astoria Hotel to maintain real-time rate and availability in OTAs based on sound business intelligence. Ali Kansou, Regional Sales Director at eRevMax will be present at Arabian Travel Market in Dubai from 24 – 27 April 2017. To set a meeting, contact marketing@erevmax.comtoday. One of the finest luxury boutique hotels in Czech Republic, Hoffmeister Hotel & Spa has partnered with eRevMax to expand business exposure and optimize online revenue. The five-star luxury property has been using RateTiger ChannelManagement Solution for managing availability, rate and inventories (ARI) across their online distribution mix. “RateTiger is a must have hoteliers tool in 21st century allowing you to effectively balance all the material variables in the hoteliers profit/occupancy/rates/distribution costs/channel parity equation,” said Petr Novotný, Sales Manager, Hotel Hoffmeister & Spa. Hotel Hoffmeister is built in Mediaeval Roman architectural style of the 15th century, sales 45 spacious apartments across various channels. The hotel offers its guests a worry-free time in a Roman bath style jacuzzi, soothe their body and mind while trying signature massages – relaxing, detoxifying and chocolate one or pamper themselves in a Beauty Parlour. One of the leading Hospitality Management and Rental Accommodations Travel Company in US, LaTour Hotels and resorts has selected eRevMax to boost its online bookings and expand online presence. Multiple properties of the California-based group are using RateTiger Channel Manager for managing availability, rates and inventory (ARI) across online sales channels. The group has presence over multiple cities of United States, Mexico and Venezuela and delivers highly personalized vacation experiences at four-star golf, ski, urban and oceanfront properties. Properties of the group using RateTiger Channel manager can sell rooms from an allocated pooled inventory across multiple channels automatically. One of the leading apartment-hotel chains in Finland, Kotimaailma Apartments has selected eRevMax to expand its business exposure and optimize online revenue. All five apartments of the group are using RateTiger Channel Manager for rate and inventory management. “A channel manager program is a “must” in our business nowadays since we are expanding to new cities in Finland and consumers and tourists are a growing part of our business. To have a tool like RateTiger for managing multiple channels is just great. And good support and training from RateTiger is highly appreciated,” said Hans Ekholm, Owner, Kotimaailma Apartments. One of the finest service apartments in Finland, Kotimaailma can maximize its revenue opportunity and reduce its distribution costs by quickly and efficiently increasing its distribution reach. RateTiger Channel Manager will help Kotimaailma to increase online sales by ensuring real-time room availability across all distribution channels through the automatic adjustment of availability from a pooled inventory. Hospitality Management Holdings (HMH), a Dubai-based property management group, has announced that it plans to expand its portfolio with five new hotels opening this year alone, which has meant an urgent need for a rate and inventory management system to ensure all properties, both old and new, are digitally standardised. HMH CEO Laurent A. Voivenel was familiar with RateTiger Suite via word of mouth (WOM) marketing, and has recently completed integration with the software that allows for two-way real time ARI updates for all properties which meets the group’s growing demand for efficient and effective management systems. HMH anticipates that RateTiger Suite will boost revenue whilst being simple to execute. Singgasana Hotels and Resorts, a leading property chain in Indonesia, has recently completed integration with eRevMax’s RateTiger Suite to help them modernise and revolutionise the way their guests make bookings and reservations. Before this integration, offline communications were responsible for the majority of bookings at Singgasana hotels. The Group were looking for a superior channel manager at a time when Indonesia is expected to be the fastest growing travel market in APAC region by 2015. Due to the sudden rise in demand for online access, the company sought out a channel and ARI management system to meets their growing needs, and it’s come at just the right time and RateTiger perfectly suits their demand. Corporate Digital Marketing Manager Ivana Novida has found that RateTiger has helped the company to add ‘new channels to increase visibility’. Marina d’Or Holiday Resort has selected eRevMax for optimizing revenue through effective online distribution. All seven properties in the complex will use RateTiger Channel Manager for rate and inventory management across third party channels. “RateTiger will help our properties connect to a significantly higher number of important channels, managing them all from one user-friendly interface and streamlining our distribution process.” said Jorge Juan Iranzo, Revenue Manager en Hoteles Marina d’Or. Located in Valencia, Marina d’Or Holiday Resort has five hotels in 3, 4 and 5 star categories along with two serviced apartments consisting of over 2150 rooms with capacity for 7000. RateTiger will help Marina d’Or Holiday Resort to manage the rate and availability distribution process, boost exposure to online booking channels globally and drive down the cost of booking acquisition. Spanish hotel group Ola Hotels has increased its online hotel revenue with the help of an automated rate & inventory management solution from eRevMax. The revenue management team of Ola Hotels is using RateTiger’s hotel Channel Manager to sell rooms from an allocated inventory pool from each of the properties across multiple channels simultaneously. Commenting on this partnership Aleix Alcover, eCommerce Manager, Ola Hotels said “We have introduced a new pricing structure and are updating our rates in real-time across 8 online sales channels. In the last two months since we have started using RateTiger, our online revenue has been steadily growing. Thanks to real time competitor benchmarking reports, we can respond to market dynamics in real-time”. All reservations made on these online travel sites are captured, and available inventory is automatically redistributed for the hotels to sell last-room availability thus eliminating the chance of overbooking. Msv Saravanan on Last Minute Booking: How big is it? havelockislandbeachresort on Is TripAdvisor turning into an OTA with its Instant Booking Model? johny strong on Is TripAdvisor turning into an OTA with its Instant Booking Model? © eRevMax. An ISO 27001:2013 certified company. All rights reserved.